Electric engraver — Engraving is as easy as writing. 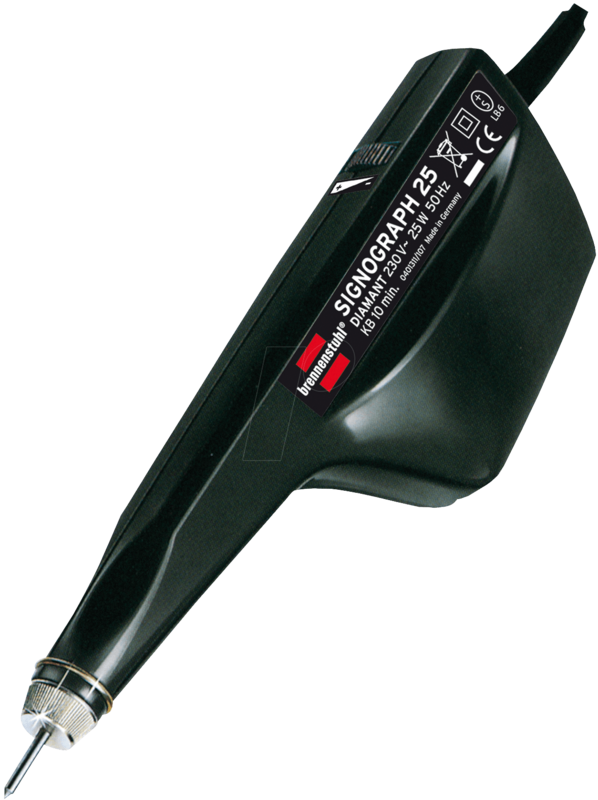 Signograph 25 Diamant, supplied in a set with diamond, carbide and hardened styluses and two modelling heads for soft metals like copper, tin and aluminium foil. a(rms)~= 52.34 m/s² = 5.336 g (max. rms value).